Diagonally arranged blue and yellow circles, each filled with four lozenges with inscriptions, as well as a small circle at the centre. There also ia a narrow border with an embroidered blue inscription. 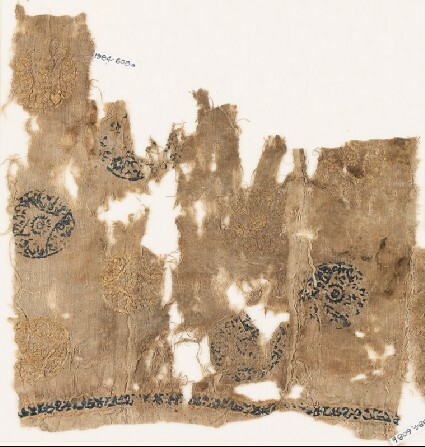 The fragment has a selvedge.